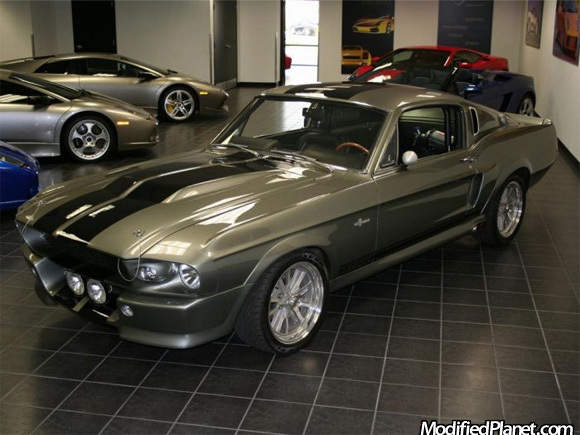 Pristine 1967 Shelby Mustang GT500 sitting in a high end showroom. Eleanor is one of our favorite vintage cars. 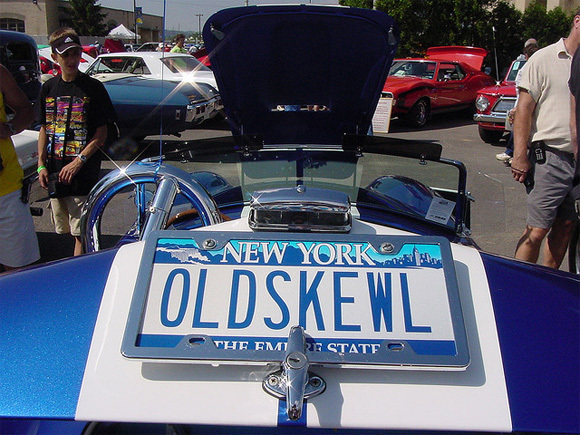 “Old Skewl” personalized New York license plate on a Shelby Cobra Replica. Shelby Cobra that’s been modified into a Budwiser beer car. 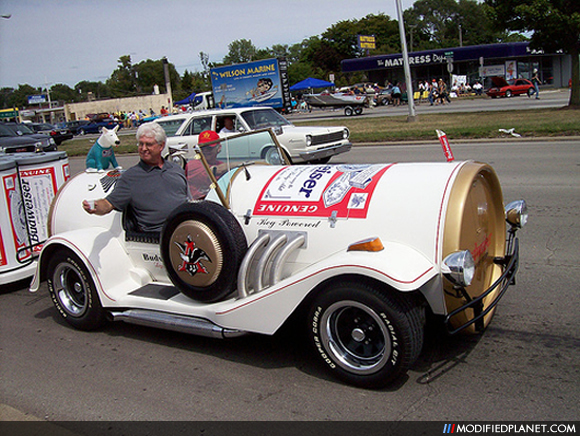 Pretty cool that they have a beer tap built right into the car.